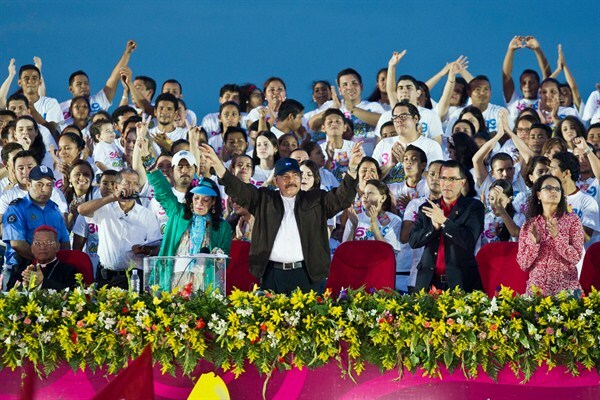 Nicaraguan President Daniel Ortega and first lady Rosario Murillo during a rally, Managua, Nicaragua, July 19, 2015 (AP photo by Esteban Felix). In a few days, voters will cast their ballots in a presidential election that has been marked by such unimaginable developments that if it were a work of fiction, publishers would reject it as far too implausible. No, we’re not talking about the United States. This election will take place in Nicaragua on Nov. 6. And we can already predict with absolute certainty that Daniel Ortega will be elected president. Again.